Could pharmaceutical prescriptions, given by doctors have killed Robin Williams? Note: The following are my musings only, based upon information put out by media outlets and do not necessarily constitute truth or reality. 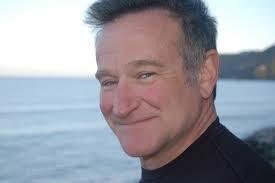 Actor-Comedian, Robin Williams’ suicide…could it be the result of side effects from his prescribed medications? It’s been 3 months since Actor, Robin Williams ended his own life by hanging himself with his own belt in his home. Not much new has come out about Williams’ death. It seems to have been a big news story for a couple of weeks then, after the quick and hushed funeral services, with cremation occurring one day after his death, nothing more was said. Questions lay unanswered and Life moves on for the rest of the world. New stories have taken over and shortly afterwards, the world quit wondering, it seems. However, news has surfaced that allegedly, the toxicology report done during Williams’ autopsy, revealed that Williams had 2 antidepressants and 2 caffeine related substances in his body at the time of his death. No alcohol or illegal drugs. Allegedly, the report also states that Williams may have been under the influence of a form of dementia at the time that he committed suicide but, Williams had also complained to his wife, Susan about the way his meds made him feel. What is most questionable is a bottle of Seroquel, a drug used to treat schizophrenia, bi-polar disorder and depression, prescribed a week before his death, were found closed. TMZ alleges that there were court documents which state that Williams was likely suffering from a form of dementia caused by Parkinson’s Disease, called “Lewy body dementia”. Initial reports however, stated that Williams was in “early stage Parkinson’s”. Williams wife at the time of his death, Susan Schneider, has allegedly stated in the Coroner’s Report that Williams was still disturbed over his 2009 move “World’s Greatest Dad” where Williams had played the father of a young man who accidentally ended his own life via the same method that Williams (ironically or not), ended his own. When asked whether Williams was into auto-erotica (such as that portrayed in the film), Schneider stated that he was not. The night before Williams died, it has been reported that he appeared to be suffering a form of paranoia where he placed his watches in a sock and gave them to someone (unnamed) “for safe keeping”. He had also taken out his iPad, something Schneider said he hadn’t done for months. She saw that as a “hopeful sign”. According to news sources, several tabs were left open to research on drugs like Lyrica, an anti-seizure medication and Propranolol, more commonly used to treat blood pressure and tremors. Could it be that Williams was trying to find alternative medications because he felt uncomfortable with the side effects of the medications he was prescribed? Williams had also reportedly begun taking Levodopa to treat symptoms from the Parkinson’s Disease. One need only watch the commercials for different prescription drugs to find that depression and suicidal thoughts may appear or become stronger while on a lot of these drugs. It has become more widely recognized that antidepressants are most commonly the causes of such thinking patterns coming about or worsening. They have been under scrutiny because of that effect on an already depressed person or to create those types of impulses and thoughts when being used for other purposes. Antidepressants medications are seemingly, being handed out by physicians like candy in today’s medical world to treat everything from Menopausal symptoms to weight issues or even smoking cessation. Properly used, under the correct conditions, they can be life savers but, seemingly far too many doctors are worrying more about prescribing other medications so, they resort to antidepressant scripts as seeming “cure-all” for everything that ails someone. Was it truly Parkinson’s Dementia related or was it the medication’s side effects? While it is unclear whether Williams had taken any of the Seroquel, side effects of Seroquel may include mood or behavior changes, constipation, drowsiness, headache, and trouble sleeping. Older adults with dementia may have a slightly increased risk of death when taking this medication. It also includes a warning that these side effects can occur and your doctor should be contacted if you experience, restlessness/constant need to move, shakiness (tremor), signs of infection (such as fever, persistent sore throat), mental/mood changes (such as increased anxiety, depression, thoughts of suicide). For some people, antidepressant treatment causes an increase, rather than a decrease, in depression—and with it, an increased risk of suicide. While this is particularly true of children and young adults on antidepressant medication, anyone taking antidepressants should be closely watched for suicidal thoughts and behaviors. The suicide risk is greatest during the first one to two months of antidepressant treatment. Monitoring is especially important if this is the person’s first time on depression medication or if the dose has recently been changed. Signs that medication is making things worse include anxiety, insomnia, hostility, and extreme agitation—particularly if the symptoms appear suddenly or rapidly deteriorate. If you spot the warning signs in yourself or a loved one, contact a doctor or therapist immediately. If you are concerned that a friend or family member is contemplating suicide, see Suicide Prevention. Having seen all of this, is it any wonder that the “cure” may be worse than the disease? It seems plausible that perhaps, Williams’ suicide, given all of the above, may have been more as a result of side effects of medications prescribed by his doctors than his actual depression and Parkinson’s Disease. At the least, one cannot truly rule it out as a possible cause. Will we ever truly know? Likely not but, the potential remains that it could have been doctor prescribed medications that drove Williams to suicide or at least, increased the potential for it. That is also ringing as a higher possibility since it was alleged that Williams had suffered from depression and anxiety for many years but, hadn’t ever gotten to the point of suicide. Why then? Could it have been the medications and their side effects? Of course, his doctors are all going to report that they feel it was some form of dementia due to his disease as opposed to the medications that he was prescribed by them. What doctors would openly say, “I think the medication(s) I prescribed may have been detrimental and set suicidal thoughts/dementia/hallucinations which drove him to suicide/was to blame for it”? None. No doctor is going to admit that possibility and put himself or herself into that position of being slapped with a lawsuit. I suspect that there’s a fairly 50/50 chance or better that Williams may have been pushed over the proverbial edge and into suicide by the side effects of the medications he was prescribed. Do I have proof? No. Can I be sure that is the case? No. This is all just my musings. Nothing more. It is simply a possibility and a vantage point from my little corner of life.